**Located in the famous 'FANNY HILL ZONE' and steps from the new base village, you are in the heart of all the action. Access to ski-in/ski-out, you are an easy shot to the slopes. This beautifully appointed condo feels like the Ritz at an affordable price. Light, bright top floor unit is private and serene, facing slope side with lovely tree top views. Enjoy the warmth of the 3 sided fireplace, a soak in the luxurious Jacuzzi tub, a restfull sleep beneath the goose down comforter, an elegant meal prepared in the newly remodeled gourmet kitchen, apre on your own private deck with BBQ. Completely remodeled and reconfigured for a light and bright open floor-plan: hardwood floors, granite counters, Master bed and bath. Great 2nd bedroom which can sleep up to 4. Rest assured, tasteful details and the comfort of home are abundant. Location and convenience is Key! Unforgettable views from this light and bight top floor unit. Slide over the stone bridge to the high speed six pack lift and gondola at the base of Fanny Hill. Free parking at unit, no shuttles or parking hassles for you! Relax in the pool or hot tub after a day of skiing. Walking distance to almost everything in the Village or catch the shuttle to town for some Aspen night life. We welcome you to our special condo and hope you find it as magical as we do. Enjoy! I have been working since 1999 for Coldwell Banker in Sherman Oaks, CA, the greater LA area. Previously I lived and worked in Aspen for 11 years. Some of you may know the famous Crystal Palace. That is where I was employed for 11 years as the office manager. I also worked as a piano tuner for the Aspen Music Festival for several years. I love this area so much that I made buying a couple rental units my passion. Not only to keep a space for me in the future, but to be able to get back to this beautiful place as much as possible. I own 2 properties next to each other in the Lower Willows. I chose this complex to settle my dream because of the great location to the slopes and all the action. As a previous local I knew it was the best kept secret as far as location was concerned. I love to walk out my unit straight to the slopes with no hassle. In the summer I enjoy riding my mountain bike on Snomwass Mountain with miles of trail right outside my door. I walk everywhere, unlike the hustle and bustle of the City. It is my getaway, Snowmass Village is the best place I know. I take great pride in making my units comfortable and update often. Every year I upgrade something. The Lower Willows has a private parking lot next to the unit. This is rare, parking is tough otherwise. We also have a long private covered deck, makes for extra space. Nicely furnished with all the bells and whistles. Wifi, HD TV's, comfortable seating. You will love it. Totally remodeled with granite counter tops, a true cooks kitchen stocked with everything that you need. Blueray, Smart DVD. Connected to WiFi, You can Youtube or use your Netflix account. DVD Movies in Unit. Great selection. Extra large covered deck, expands the whole length of the condo. Private with seating. Arrange with owner. 1 older Mountain Bike, Adult size. The Lower Willows shares the Lichenharth Pool and Hot Tub. Please see map for location. Great location and very comfortable unit with nice updates! This was our second time staying in the lower Willows and we would definitely return. Hot tub might need some cleaning. Very nice clean with a great location. Rochelle was very responsive and easy to deal with. Loved it. Would highly recommend. Well-located condo that is a short walk to snowmass base village and even shorter walk to the free snowmass/aspen bus stops. The condo was cozy and very clean. It was well stocked with all the basics that you would need. There was plenty of room for 3 adults and 1 child in our group. The owner, Rochelle, was a lovely host. Hope that we can come back again! 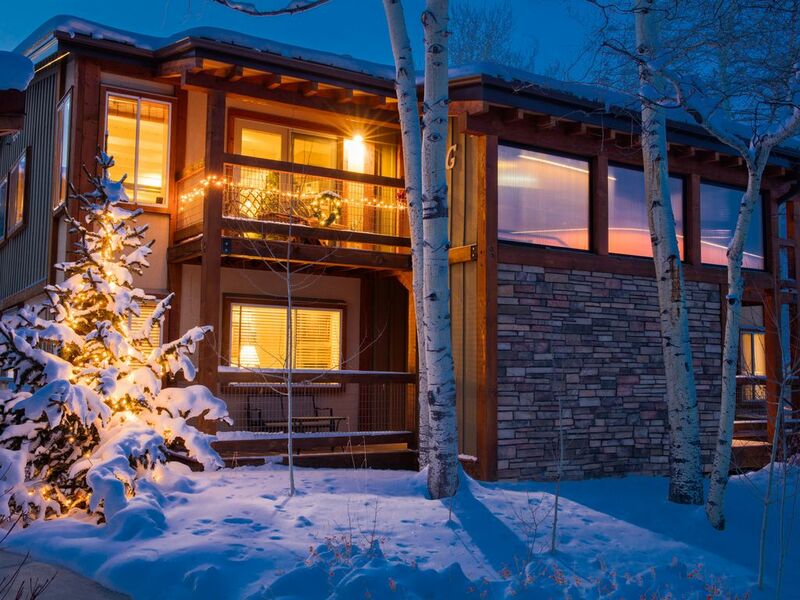 Very convenient condo for skiing and Snowmass base Village and Mall. Rochelle is a great owner/host...responsive and full of suggestions. Condo has a big family room area for hanging out apres ski. I highly recommend. This property lived up to what was advertised. We enjoyed everything about this place. Furniture and bed were comfortable. The fireplace warmed us in the evenings. We wished that it was a little closer to the slopes, but the short walk wasn't too bad. This is the sixth year our family has stayed at this property. It's a short walk for us to drop our granddaughters at ski school and for us to catch the Village Express lift or Gondola to hit the slopes. We can come back in for lunch, a nap and then walk to the village for dinner. Ample space for our family of 4 adults and 2 children. Rochelle has responded to any questions or problems that we had arise over the years. It has everything we need and is a very beautiful and well kept property.